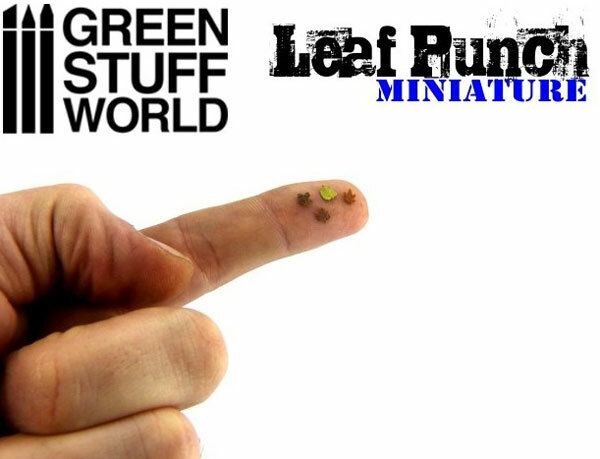 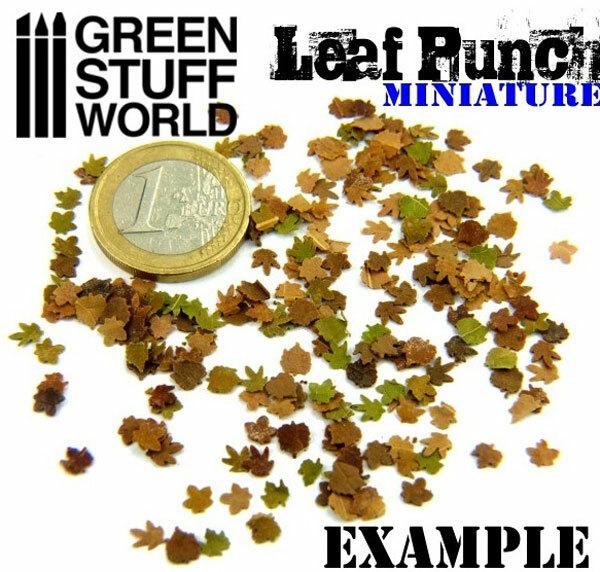 Miniature Leaf Punch perfect to create miniature leaves compatible with scales 1:35, 1:43, and 1:48 (54mm, 32mm, and 28mm). 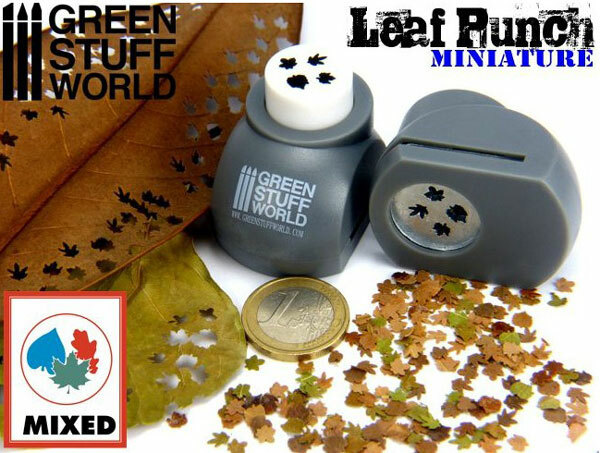 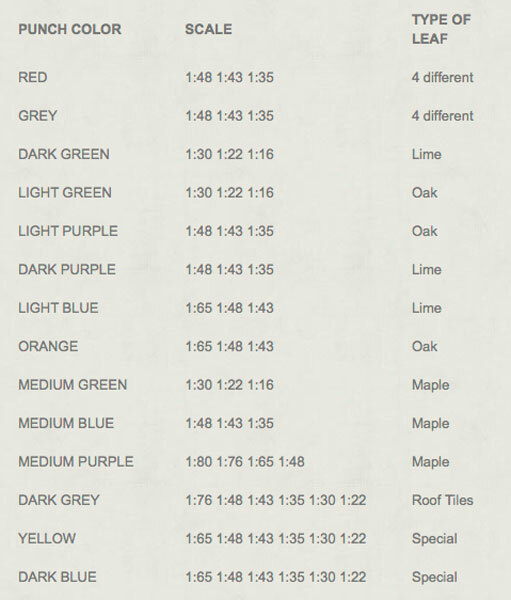 You can use various types of paper and other materials. 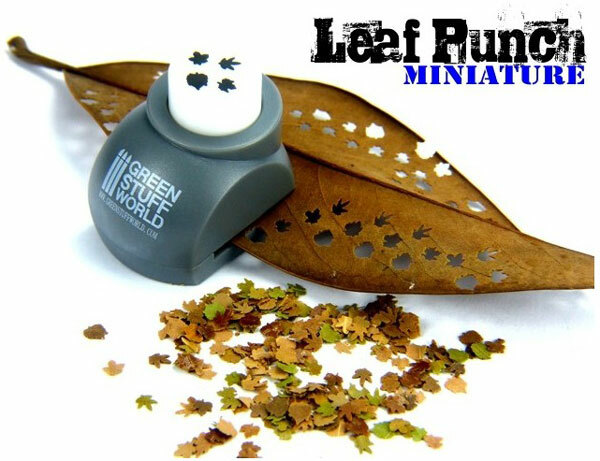 This tool will make Maple, Red Maple, Sycamore and Poplar leaves, although other types of trees could also be represented with these leaves.